Having received the monastic tonsure in Sretensky Monastery, he is immortalized as one of the heroes of Archimandrite Tikhon’s popular book, Everyday Saints. During one of his visits to Moscow Fr. Nilus agreed to tell us a little about his life and service as a priest. —Question: Fr. Nilus, tell us about your life before monasticism. 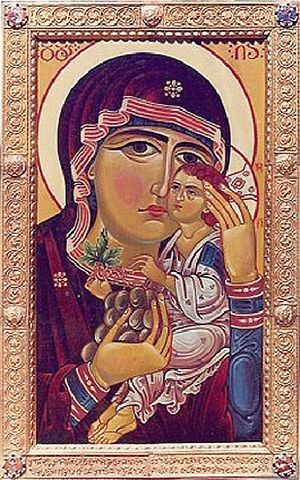 FATHER: D I was born in 1948 on the feast of the Nativity of the Mother of God, September 21. Only a year later was my grandmother able to have me baptized in the town of Staraya Russa, because I was a sickly infant. My grandmother, whose name was Barbara, was a deeply religious woman. When my brother and I were little and would be falling asleep, she would kneel and pray before the icons. When we would wake up, grandma would still be on her knees. We would often ask, “grandma, did you go to sleep?” and she would reply that she had slept and was just getting up. Grandma had a very beautiful prayer corner, and she always burned three votive lamps before it in the name of the Holy Trinity. When I served in the army in Valdai, a nationalistic fight arose among the Ukrainians. I well knew about the nationalist movement in the Ukraine and so I began to talk with them and explain things. As a result their enmity ceased and they became close friends, but the military police turned me in for political activity that was not regulated by the komsomol bylaws. I was arrested in just a few days. This was in April of 1968. At the end of April I escaped with the intention of going west to Paris and there entering the theological institute. I was arrested again during my attempt to cross the border on May 8. I was in Moscow’s Lefortovo prison for a year, almost all of it in solitary confinement. I was twenty at the time. At the conclusion of one of my interrogations, two officers said to each other, “If we had not already lived so many years we would have followed in his footsteps. That kid is winning us over; it’s dangerous to interrogate him.” They gave me seven years of prison as a political prisoner. Question: What were the subjects of the interrogations? 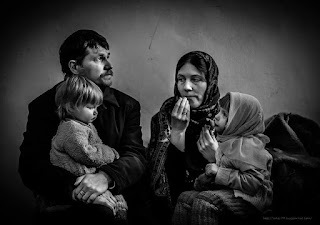 FATHER: The subjects were: faith, the state of the regime, revolution, the murder of the royal family, and other things. I was given the option of denying my convictions, but I categorically refused. We had political prison camps then, and I was sent to Yavas in Mordovia. There were a thousand of us in the eleventh zone. By winter the eleventh zone had been restructured, with people sent here and there to other zones. 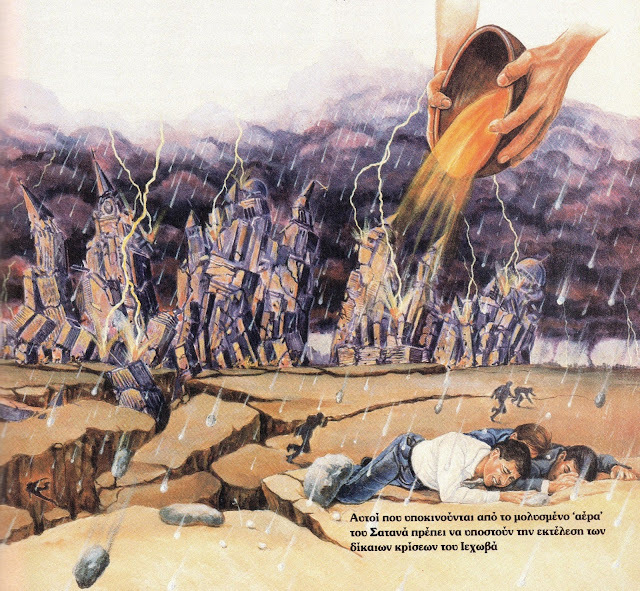 In Yavas, where we were taken first, there was still a trench dug out by a bulldozer, and next to it stood a so-called “untouchable” bulldozer which was supposed to bury the prisoners who would be shot under Khrushchev’s secret orders when the time came..
PERSECUTION IN SOLITARY : GOD IS PRESENT! QUESTION: They say that those who lived through the terrible Solovki concentration camps and other prison camps felt special help from God. Have you had any personal experience of an awareness of the Lord’s nearness? That lad was of Cossack stock. On the last day he opened the door, took out some food—he had brought me some fresh herring and some tea. “Only eat it in front of me,” he said. But I knew better than to torment myself with herring, because salted fish in a jail cell means excruciating thirst. But he said, “I am on duty today and I will provide you with tea. It is just that I don’t have anything else or I would give it to you.” We sat there and talked all night. He said, “This is my last night—I leave tomorrow. I have no more strength to stay. I thought and thought about it. I can see why you are here, but why should I be here with you?”.. This was my second experience of death, in which I heard the voice of God. “Send him back, he has to serve a while more,” and then I came to. I looked and saw the Mother of God leaning over me, and then the head of the sanitation department ordered, “Take him back to the hospital, to my wing.” She worked in the surgical wing. She kept me for three weeks in the camp hospital. Before I was released she spoke with the chief administrator. “I won’t let you kill this boy,” she declared. I worked in that camp for two years—I chopped wood. The convoys would bring the logs and we would saw them with a circular saw. The plan was five cubic meters per day. Later I took a fancy to the welding machines in the mechanics shop and asked to be transferred there, and so I was. After working in that shop I began to study machinery and kinetics. This was easy for me because I always loved reading books, even since childhood. Bookstores are still my favorite places. Our school library was a good one, and I had read everything in it by seventh grade. There wasn’t a single book there that I had not read. QUESTION: In what year were you ordained? FATHER: This year, 2012, is my thirty-first year as a clergymen. I was ordained a deacon in 1981 on the feast of the Archangel Michael, and in 1985, on the feast of all the saints of Russia and Mt. Athos, I was ordained a priest. BLESSED FATHER RAPHAEL OF "EVERYDAY STS.."
QUESTION: What do you remember about Fr. Raphael (Ogorodnikov)? FATHER: —I met Fr. Raphael in 1980. Fr. Panteleimon would sometimes go to the Crimea for treatment of his illnesses. His condition would get better after these treatments. I remember once in December, on the feast of the Great Martyr Barbara, we were serving together—I was a psalm reader at the time. Fr. Raphael was appointed on the feast of St. Nicholas, and that is when we met. I looked, and they had arrived in the “Zaporozhets” that he and Fr. Nikita had bought together. We greeted each other, and I asked him, “Are you from Pechory?” and they answered, “Yes”. We prayed in the church, and then I took them into my cell. Fr. Raphael asked me, “Have you been visited here by temptations?” I answered that temptations never leave a person. Fr. Raphael’s brother was in prison, and Fr. Nikita had been kicked out by his family when he was a child, and had been raised in a monastery since the age of seven. 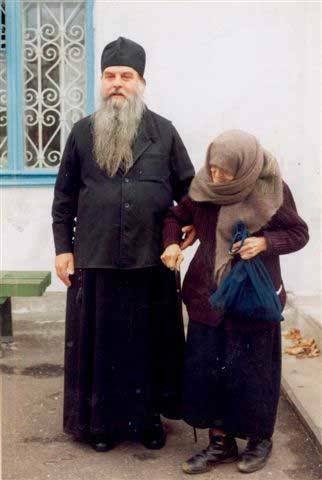 When he was thirteen he left for Borovik to join Hieromonk Dositheus, who raised him until he was called into the army, and after the army he came to Archimandrite Alypius in Pskov Caves Monastery. Fr. Raphael was Fr. Nikita’s spiritual director, whom he trusted and obeyed uncompromisingly. Fr. Raphael was a truly great man, and people trusted him. He was a wise man, from whom much could be learned. Wisdom and humility, eagerness for obedience—these were Fr. Raphael’s qualities. Once a young boy came up to him and said, “Don’t eat any eggs today, father.” Fr. Raphael was always seeking some excuse to be obedient, and it was Tuesday, not a fast day, but he nevertheless heeded the words of this ordinary little boy. The women who worked in the kitchen later said that the eggs were spoiled that day. This constant yearning for obedience always helped Fr. Raphael through many situations in life. QUESTION : What is an elder? One woman asked me to bless her to make prostrations and pray the Jesus prayer. Before she met me she had practiced a purely monastic prayer rule. I asked her, “Are you a nun?” She replied, “No, I am only planning to be one. Maybe Fr. Raphael will tonsure me.” That often happened in Soviet times—nuns would be tonsured in parishes. “Well, if you want to practice the Jesus prayer: say the prayer once in the morning with a prostration, once at noontime with a prostration, and once in the evening.” She said, “Are you making fun of me? [THIS WAS A SIMPLE THING TO DO ] What do you take me for?” I replied: “I am not taking you for anything. God bless you—if you can fulfill this obedience then come back in a month.” A month later she returned, weeping. “Please forgive me for getting angry with you. I can’t do it—whenever I only think about having to make prostrations ever fiber in me rises up against it, and I can’t.” “Well, you’ve taken the path of experience and seen that you can’t do it. What if you take monastic vows—then what will you do? Then you will have to fulfill the rule whether you want to or not,” I answered her. QUESTION: Fr. Nilus, did you know Fr. Dositheus? 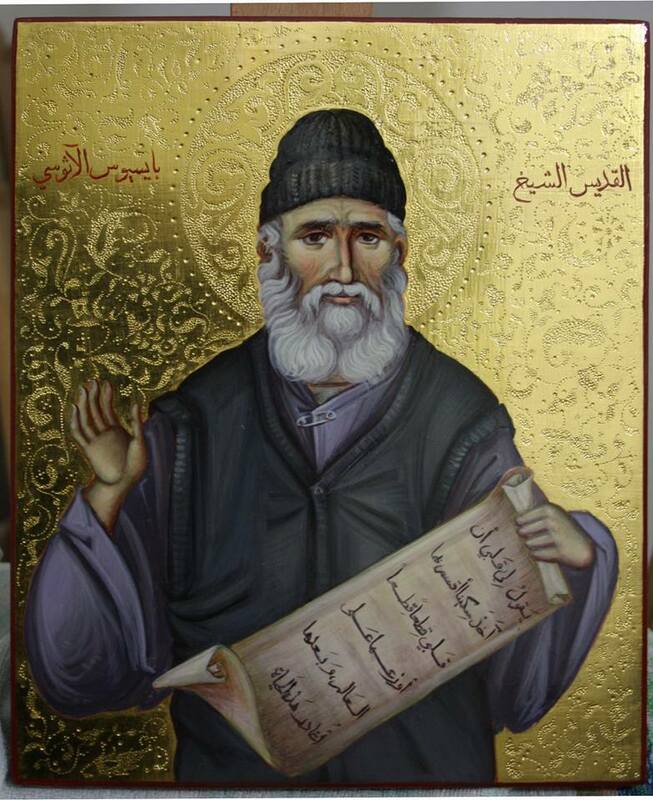 [HERMIT HOLY AND MARTYR OF ATHEISTS "EVERYDAY STS"
FATHER: I visited him several times. I remember how Fr. John talked about Fr. Dositheus. He said that he was one of the last great pillars, who emulated the ancient holy fathers. His cell was made of logs. At times he would get sick but he would not heat the stove—he would just wrap himself in rags and lie there. After the illness had subsided he would rise and heat the stove. People would come to Fr. Dositheus but he would just continue with his life, not saying anything in particular, only going on with his work. When the time would come for prayer, he would stand by the analogion, open his prayer book, horologion, or Ochtoechos, and begin to pray. The visitors would pray with him. I remember one Great Lent when he fell sick and the doctor pronounced a death sentence. “That’s it father—in two months order some boards and make yourself a coffin.” Fr. Dositheus closed his doors and went into reclusion, not opening up to anyone. He came out only on Pascha to the church where Fr. Nikita served, and his face was pure and white. Fr. Nikita said later, “I didn’t recognize him.” “How could that be? Didn’t he raise you, feed you?” I said to him. “He had changed so drastically, had become such a luminous man,” replied Fr. Nikita, “that I did not recognize him.” Fr. Dositheus had a favorite icon of a golden-haired angel, and he began to resemble that angel. QUESTION: When did you meet Fr. Tikhon [Archimandrite Tikhon (Shevkunov), abbot of the Moscow Sretensky Monastery.] AUTHOR OF "EVERYDAY SAINTS.." Tell us about your monastic tonsure. Why did so many years pass before you finally made that decision? FATHER: The Lord has led me all my life, from childhood, even infancy, to the angelic field. But apparently it pleased God to have me take that step with full responsibility, understanding, and spiritual insight into the meaning of monastic life. From the moment of my tonsure my life changed abruptly. 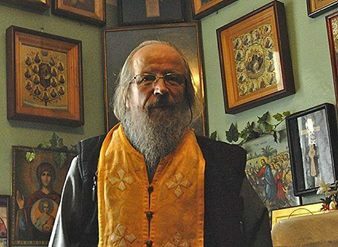 After the bishop signed the order for my tonsure, I went to my father confessor Archimandrite Tikhon, who then performed this great Mystery. Here, in Sretensky Monastery, I was born as a monk. I am learning spiritual warfare, spiritual concentration, and how to walk in the presence of God, so that I might not forget the Lord for even a second. ΕΠΙΣΤΟΛΕΣ ΤΟΥ ΓΕΡΟΝΤΑ ΙΩΑΝΝΗ ΤΗΣ ΜΟΝΗΣ ΤΩΝ ΣΠΗΛΑΙΩΝ (ΠΣΚΩΦ). ΠΑΤΗΡ ΙΩΑΝΝΗΣ ΚΡΕΣΤΙΑΝΚΙΝ ΤΗΣ ΜΟΝΗΣ ΤΩΝ ΣΠΗΛΑΙΩΝ " Κατά τη στέψη δίνονται υποσχέσεις, που οι νεόνυμφοι πρέπει να κατανοήσουν και να εκπληρώσουν. " Το να παντρευτείτε άπιστο είναι σταυρός υπεράνω των δυνάμεών σας. Για αυτό σκεφτείτε καλά προτού κάνετε κάτι, που δεν θα μπορεί να διορθωθεί. Κι επιπλέον, το να στεφανωθείτε άπιστο, είναι βεβήλωση. Κατά τη στέψη δίνονται υποσχέσεις, που οι νεόνυμφοι πρέπει να κατανοήσουν και να εκπληρώσουν. Τι θα σημαίνει για έναν άπιστο αυτό το μέγα Μυστήριο; Θα αρχίσουν, λοιπόν, συγκρούσεις μεταξύ σας από την πρώτη μέρα της κοινής σας ζωής. Διότι, με κανένα τρόπο δεν πρέπει να ψευδόμεθα στον Θεό, πράγμα που αμφότεροι κάνετε ήδη. 0 Κύριος να σας δώσει σοφία! ΒΙΒΛΙΟΓΡΑΦΙΑ. ΔΕΝ ΕΙΝΑΙ Ο ΑΝΤΙΧΡΙΣΤΟΣ ΠΟΥ ΘΑ ΜΑΣ ΚΑΤΑΣΤΡΕΨΕΙ. ΕΠΙΣΤΟΛΕΣ ΤΟΥ ΓΕΡΟΝΤΑ ΙΩΑΝΝΗ. ΠΑΤΗΡ ΙΩΑΝΝΗΣ ΚΡΕΣΤΙΑΝΚΙΝ ΤΗΣ ΜΟΝΗΣ ΤΩΝ ΣΠΗΛΑΙΩΝ. "Αλλά ο σταυρός της πρεσβυτέρας είναι ιδιαίτερος και στη σημασία και στο βάρος. " Για σύζυγος ιερέα δεν είστε κατάλληλη. Ακόμη δεν έχετε συλλογιστεί τι θέλετε στη ζωή και από τη ζωή. Ακόμη παίζετε και ξελογιάζετε με τα καπρίτσια σας. Αλλά ο σταυρός της πρεσβυτέρας είναι ιδιαίτερος και στη σημασία και στο βάρος. Για τον παππούλη είναι μοναδικός για όλη τη ζωή. Τι θα είναι γι’ αυτόν, αν αντί για πρεσβυτέρα πάρει ηθοποιό; 0 Θεός να σας δώσει σοφία. Διαβάστε την Α' Επιστολή προς Κορινθίους, κεφ. 13. Στο φως όσων διαβάσατε εξετάστε τον εαυτό σας. Μόνο αυτή η έννοια της αγάπης υπόσχεται μέλλουσα οικογενειακή ζωή προς σωτηρία. Pre-order our latest release today! 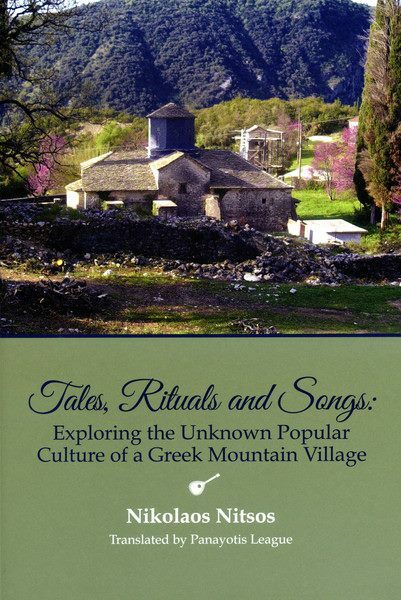 "Tales, Rituals and Songs" provides a rich and fascinating view into Greek village life. "After the liberation of Epirus, I desired to return for a visit to my birthplace... and arrived in Tsamantas in the middle of 1914... The more I collected and studied, the more interested I became. I started to systematically analyze the relatively rich material having to do with the customs of the inhabitants, previous generations' way of life, the language and expressions, and in general to develop a tremendous interest in the folklore and history of our people"
This translation into English by Panayotis League of a long-forgotten but fascinating monograph by the late Nikolaos Nitsos, a scholar from a small village in what is now northwestern Greece, is an impressive achievement, not least because the task was made more challenging by the complexity of the original text and the antiquated form of Greek in which it was written. Its publication is a momentous event, bringing back to life a work of enormous interest and fine literary qualities. Ιερά Μονή Ιωάννου Προδρόμου Μακρυνού - Εσπερινός και Απόδειπνο. Γέροντας Ιάκωβος Τσαλίκης Μαρτυρία του Μητρ. Μόρφου Νεόφυτου. My grandfather Nikoloz died four years ago at age 102. He was of sound mind and memory until the end of his life. When he was a young man a miraculous event occurred in his life which radically changed his worldview and lifestyle. He believed the Bolshevik propaganda and became a Komsomol member at the age of fifteen. Four years later he became a communist, and, unfortunately, participated in the destruction of churches. 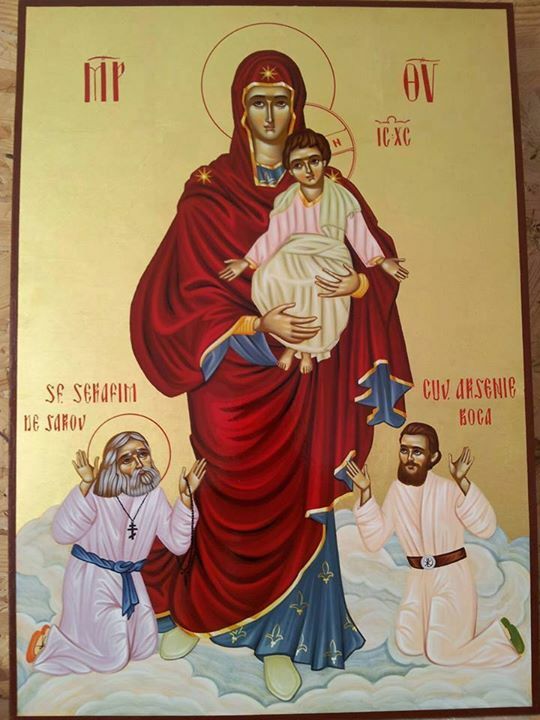 When one of the churches was being ravaged, he took down an icon of the Mother of God from the wall and was about to throw it into the fire. But suddenly holy myrrh, as if it were tears, started streaming from the eyes of the Most Pure Virgin. He threw his weapon to the ground, tore his clothes and rushed to the forest. His parents and brothers searched for him in the mountains for a long time, but Nikoloz seemed to have fallen through the earth. All in vain—they could find him nowhere. From that time Nikoloz avoided communists. A rumor spread through the village that the icon had allegedly driven him mad. But Nikoloz made no attempt to dispel these rumors. He was in company with other people very seldom. Every day from dawn to dusk he would work in the field and in the vineyard. He always concealed a part of his earnings somewhere. The man saved money so assiduously that even if he had been starving he would have never taken anything from his savings. To tell the truth, nobody in his family knew where he was hiding the money. Only on his deathbed did grandfather Nikoloz reveal the truth to me and my cousin, a priest. And it became known that throughout his life grandfather had wanted to build a church (at least a small one) in honor of the Mother of God, and that is why he saved money all his life. But because of numerous economic defaults in the country, the sum he had collected lost its value and Nikoloz was not able to realize his dream. The Kviris Palitra newspaper. January 19, 2009. Η λειψανοθηκη με τα ιερα λειψανα των αγιων Αποστολων και τεμαχιο Τιμιου Ξυλου δεσποζει στο Καθολικο της Ιερας Μονης Θεοτοκου Καλλιπετρας . θα παραμεινει μεχρι το τελος Σεπτεμβριου. Ο ΑΓΙΟΣ ΠΑΙΣΙΟΣ ΣΤΑ ΑΡΑΒΙΚΑ. ΑΓΙΟΓΡΑΦΙΑ. 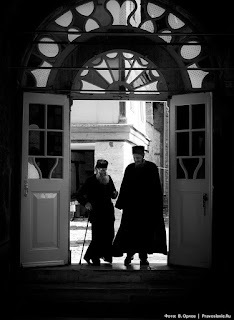 A photojournalist of the Pravoslavie.ru website, Vladimir Orlov, has participated in the festivities on Holy Mount Athos dedicated to Venerable Athanasius the Athonite in the Great Lavra Monastery, which had been founded by him. 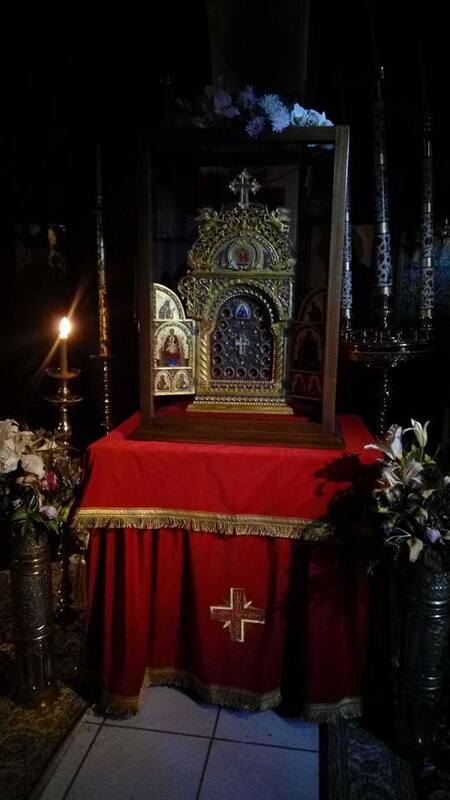 The night before, July 4/17, a prayer service was performed and a procession of the cross with the “Kukuzelissa” wonderworking Icon of the Mother of God was held in the Lavra. This icon was named after St. John Kukuzel (also Ioannis Koukouzelis), a great Orthodox Byzantine singer and composer who most probably lived in the fourteenth century and to whom the Mother of God once appeared. One day, Venerable John fell asleep from exhaustion inside the church before this icon. In his sleep the saint saw the Heavenly Queen, Who said to him: “Rejoice, my son John! 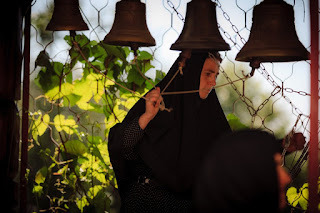 Keep singing to me, and for that I will not abandon you.” After this the Most Holy Theotokos placed a gold coin in his hands and then disappeared. Waking up, St. John discovered the gold coin in his hands, and from that day he always sang in the choir until his death. Ἡ ἐσχατολογία, δηλαδή ἡ διδασκαλία γιά τό τέλος τοῦ παρόντος κόσμου καί τῆς παρούσης ζωῆς, εἶναι σπουδαιότατο καί ἀναπόσπαστο στοιχεῖο τῆς διδασκαλίας τοῦ Χριστοῦ καί τῆς πίστης τῆς Ἐκκλησίας μας. Στήν αὐθεντική λειτουργία της, ἀποτελεῖ πολύτιμη πυξίδα προσανατολισμοῦ τοῦ ἀνθρώπου. Μᾶς ὑποδεικνύει τήν αὐθεντική πορεία μας καί μᾶς κατευθύνει πρός τόν τελικό προορισμό μας. Ὡστόσο, ἡ ἐσχατολογία δέν λειτουργεῖ πάντοτε μέ αὐθεντικό τρόπο. Ἐκτροπές της ἐμφανίζονται, γιά παράδειγμα, σέ περιόδους πνευματικῆς, κοινωνικῆς καί οἰκονομικῆς κρίσης, ὅπου σενάρια γιά τά ἔσχατα γεγονότα, ἐξεζητημένες ἑρμηνεῖες τῶν ἱερῶν κειμένων, ὑπερβολές, συσχετισμοί ἄσχετων δεδομένων, ὑποτιθέμενες προφητεῖες ἤ ρήσεις ἁγίων ἀνθρώπων κ.ἄ., εἴτε ἐπιχειροῦν νά παράσχουν μάταιες ἐλπίδες, εἴτε ἐπιδιώκουν νά ἐντυπωσιάσουν ἤ ἀκόμη καί νά τρομοκρατήσουν τό κοινό. Παρόμοια φαινόμενα ἐκτροπῶν ἐμφανίζονται μεταξύ τῶν χριστιανικῶν αἱρέσεων τῆς ἐποχῆς μας, στίς ὁποῖες κυριαρχοῦν χιλιαστικές καί ἐσχατολογικές τάσεις. Χαρακτηριστικό παράδειγμα εἶναι ἡ αἵρεση τῶν Μαρτύρων τοῦ Ἰεχωβᾶ, μέ τίς γνωστές ἀντιλήψεις της γιά τή χιλιετή βασιλεία τοῦ Χριστοῦ. Στίς περιπτώσεις αὐτές, ἡ ἐσχατολογία χρησιμοποιεῖται ὡς μέσο ἄσκησης ψυχολογικῆς βίας καί τρομοκρατίας στά μέλη τῆς αἵρεσης, ὥστε αὐτά νά παραμένουν συνδεδεμένα στενά μέ τήν ὁμάδα καί νά ἐξασφαλίζεται ἔτσι ἡ συνοχή της. Ὅποιος βρεθεῖ ἔξω ἀπό τό «μοναδικό καταφύγιο», τήν ἑταιρία «Σκοπιά», καί δέν ἀκολουθεῖ πιστά τή γραμμή της, θά ὑποστεῖ ἀναπόφευκτα τή μεγάλη σφαγή στόν Ἀρμαγεδῶνα μαζί μέ τά τέκνα τοῦ διαβόλου, ἰσχυρίζεται ἡ ἡγεσία τῶν Μαρτύρων τοῦ Ἰεχωβᾶ! Κάτι ἀνάλογο διδάσκει καί ἡ σχετικά νεότερη αἵρεση τῶν Πεντηκοστιανῶν: Ὅποιος δέν ἀνήκει στήν ὁμάδα μας, δέν θά μετέχει στήν «ἁρπαγή τῆς Ἐκκλησίας» καί θά ἀφεθεῖ νά ὑποστεῖ τά δεινά τῆς ἐποχῆς τοῦ Ἀντιχρίστου μαζί μέ τόν ἁμαρτωλό κόσμο! Εἶναι φανερό, ὅτι στίς περιπτώσεις αὐτές καί γιά νά λειτουργήσει ἔτσι ἡ ἐσχατολογία, δέν ἀρκεῖ ἡ ἐπένδυσή της μέ ὑπερβολές ἤ ὁ ὑπερτονισμός κάποιων σημείων της, ἀλλά ἀπαιτεῖται ἡ πλήρης ἀλλοίωσή της, ἡ μετατροπή της σέ πλάνη. Στήν περίπτωση τῶν Μαρτύρων τοῦ Ἰεχωβᾶ προβάλλεται, ὅπως εἶναι γνωστό, ἡ πλάνη γιά τή χιλιετή βασιλεία τοῦ Χριστοῦ πρίν τή Δευτέρα Παρουσία Του, ἡ ὁποία εἶναι γνωστή ὡς «Χιλιασμός». Ὡστόσο, ὁ Χιλιασμός δέν ταυτίζεται μέ τήν αἵρεση τῶν Μαρτύρων τοῦ Ἰεχωβᾶ, ὅπως κάποιοι πιστεύουν. Οὔτε ἀποκλειστική διδασκαλία τῆς παραπάνω αἵρεσης εἶναι, οὔτε ἀποκλειστικό φαινόμενο τῆς ἐποχῆς μας. Ἐμφανίζεται καί σέ ἄλλες σύχρονες αἱρέσεις καί ἀποτελεῖ ἀναβίωση χιλιαστικῶν ἀντιλήψεων, οἱ ὁποῖες πρωτοεμφανίστηκαν στήν ἀρχαία Ἐκκλησία. Ὁ Χιλιασμός στηρίζεται ἀποκλειστικά σέ παρερμηνεῖες χωρίων τοῦ γεμάτου συμβολισμούς καί ἀλληγορίες βιβλίου τῆς Ἀποκαλύψεως τοῦ Ἰωάννου, σέ συνδυασμό πολλές φορές μέ πλούσια φαντασία, μέ αὐθαίρετους ὑπολογισμούς χρονολογικῶν δεδομένων καί μέ «προφητεῖες», πού πάντοτε διαψεύδονται. Δέν ἔχει ἄλλα ἐρείσματα στήν Ἁγία Γραφή. Στήν Ἀποκάλυψη ἀναφέρεται ὅτι πρίν τή Δευτέρα Παρουσία τοῦ Χριστοῦ θά δεθεῖ ὁ Σατανᾶς καί οἱ δίκαιοι θά βασιλεύσουν μαζί μέ τόν Χριστό γιά χίλια ἔτη (20, 1-7). Κάποιοι ἑρμήνευσαν τά χωρία αὐτά κατά γράμμα, νομίζοντας ὅτι ἀναφέρονται σέ ἐπίγεια καί αἰσθητή βασιλεία τοῦ Χριστοῦ, ὁ Ὁποῖος ἀλλοῦ διευκρινίζει σαφῶς ὅτι ἡ βασιλεία Του «οὐκ ἔστιν ἐκ τοῦ κόσμου τούτου» (Ἰω. 18,36), ἀποκλείοντας ἀνάλογες ἐγκόσμιες ἑρμηνεῖες τῆς βασιλείας ἀπό τούς Ἰουδαίους τῆς ἐποχῆς Του. Ὁ Χιλιασμός στήν ἀρχαία Ἐκκλησία ἐμφανίστηκε τόν β' μ.Χ. αἰῶνα μέ ἐπίκεντρο τή Μικρά Ἀσία, ὅπου κάποιοι ἐκκλησιαστικοί συγγραφεῖς πίστευαν ὅτι πρίν τή Δευτέρα καί ἔνδοξη Παρουσία τοῦ Χριστοῦ θά προηγηθεῖ μιά χιλιετής περίοδος, κατά τήν ὁποία ὁ νέος Ἰσραήλ, τά μέλη τῆς Ἐκκλησίας, θά βασιλεύσουν μαζί μέ τόν Χριστό καί θά ἀπολαύσουν πλούσια ὑλικά καί πνευματικά ἀγαθά (Βλ. Φειδᾶ, Ἐκκλησιαστική Ἱστορία Α', Ἀθῆναι 1994, σ. 149-151). Οἱ ἀντιλήψεις αὐτές, μέ βασικό ἐκπρόσωπο τόν αἱρετικό Μοντανό ἀπό τή Φρυγία (β' μ.Χ. αἰ. ), ἐμφανίζονται ὄχι μόνο σέ αἱρετικούς, ἀλλά καί σέ ὀρθόδοξους συγγραφεῖς. Ὁ Χιλιασμός καταπολεμήθηκε ἔντονα ἀπό Ἀλεξανδρινούς θεολόγους, ὅπως ὁ Ὠριγένης (185-254) καί ὁ ἅγιος Διονύσιος Ἀλεξανδρείας (248-264), καί ἀργότερα ἀπό τόν ἱερό Αὐγουστῖνο (354-430). Εἶναι χαρακτηριστικό ὅτι, ἀντιμετωπίζοντας τίς χιλιαστικές δοξασίες τῆς ἐποχῆς του, ὁ ἅγιος Διονύσιος Ἀλεξανδρείας ἀμφισβήτησε τό ὅτι ἡ Ἀποκάλυψη εἶναι γνήσιο ἔργο τοῦ εὐαγγελιστοῦ Ἰωάννου. Ὁ ἀρχαῖος Χιλιασμός ἀτόνησε προοδευτικά ἀπό τά μέσα τοῦ γ' μ.Χ. αἰ. καί ἔκτοτε ἔπαψε νά ὑπάρχει, μέχρι τίς ἀρχές τοῦ ιθ' αἰ. Τότε ἄρχισαν νά ἐμφανίζονται, ἀρχικά στήν Ἀμερική καί ἀργότερα ἀλλοῦ, νέοι «μεσσίες», προσδιορίζοντας χρονολογίες γιά τήν Δευτέρα Ἔλευση τοῦ Χριστοῦ καί τή συντέλεια τοῦ κόσμου καί ἱδρύοντας ὁμάδες («ἐκκλησίες»), τῶν ὁποίων τά μέλη θά σωθοῦν, ὑποτίθεται, ἀπό τήν ἐπερχόμενη καταστροφή. Τέτοιες ὁμάδες - αἱρέσεις μέ χιλιαστικές ἀντιλήψεις εἶναι οἱ Ἀντβεντιστές τῆς Ἑβδόμης Ἡμέρας (μητρική ὀργάνωση τῶν Μαρτύρων τοῦ Ἰεχωβᾶ), οἱ Μελετητές τῆς Βίβλου, ἡ Ἐκκλησία τῶν Εὐαγγελιστῶν, ἡ Παγκόσμια Ἐκκλησία τοῦ Θεοῦ κ.ἄ. (Χρ. Τσιάκκα, Ἐγκυκλοπαιδικό Λεξικό Θρησκειῶν καί Αἱρέσεων, Κύπρος 2002, σ. 336). Ἄν ἐπίκεντρο τῆς Ὀρθόδοξης ἐσχατολογίας εἶναι τό πρόσωπο τοῦ Ἰησοῦ Χριστοῦ (καί ὄχι τό πρόσωπο τοῦ Ἀντιχρίστου, ὅπως πολλές φορές συμβαίνει), τότε ἡ ὑγιής ἐσχατολογία, προϋποθέτει τήν ὑγιῆ Χριστολογία, δηλαδή τήν ὀρθή διδασκαλία γιά τό πρόσωπο τοῦ Χριστοῦ. Κάτι τέτοιο δέν συμβαίνει, βέβαια, στήν περίπτωση τῶν Μαρτύρων τοῦ Ἰεχωβᾶ. Ἡ αἵρεση αὐτή ἔχει σαφῶς πεπλανημένη (αἱρετική) Χριστολογία, ἡ ὁποία ὁδηγεῖ ἀναγκαστικά σέ πεπλανημένη ἐσχατολογία. Ἡ ὀργή τοῦ Ἰεχωβᾶ ἐκδηλώνεται στόν ἁμαρτωλό κόσμο! Ὅσοι, ὅμως, βρίσκονται στό «μοναδικό καταφύγιο», στήν ὀργάνωση τῶν Μαρτύρων τοῦ Ἰεχωβᾶ, θά ἀποφύγουν, ὑποτίθεται, τά φρικτά δεινά. Κατά τή διδασκαλία τῶν Μαρτύρων τοῦ Ἰεχωβᾶ, ὁ Χριστός δέν εἶναι «ὁ ἐπί πάντων Θεός» (Ρωμ. 9,5), «ὁ μόνος Δεσπότης καί Κύριος» (Ἰούδ. 4), ὅπως δέχεται ἡ χριστιανική Παράδοση, ἀλλά ἕνα πρόσωπο, τό ὁποῖο οὔτε ταυτίζεται, οὔτε συγκρίνεται, οὔτε ὁμοιάζει, οὔτε ἔχει τήν ἴδια οὐσία μέ τόν ἀληθινό Θεό, τόν Ἰεχωβᾶ. Ἡ αἵρεση ἀπορρίπτει τή διδασκαλία γιά τήν Ἁγία Τριάδα, τήν ὁποία θεωρεῖ πλάνη καί ἐπινόηση τοῦ διαβόλου! Ἔτσι, ὁ Υἱός ἀνήκει ἀναγκαστικά στά κτίσματα, στά δημιουργήματα τοῦ Θεοῦ. Διαφέρει ἀπό τά ἄλλα κτίσματα στό ὅτι δημιουργήθηκε ἀπ’ εὐθείας, ἐνῶ ἐκεῖνα δημιουργήθηκαν μέσω τοῦ Υἱοῦ, τοῦ βοηθοῦ ἤ πρωτεργάτης στό ἔργο τῆς δημιουργίας. Αὐτό σημαίνει ὅτι, ὑπῆρξε χρόνος, κατά τόν ὁποῖο δέν ὑπῆρχε ὁ Υἱός («ἦν ποτε ὅτε οὐκ ἦν»), ὅπως ἰχυριζόταν κάποτε ὁ αἱρεσιάρχης Ἄρειος (260-336), ὁ ὁποῖος καταδικάστηκε στήν Α' Οἰκουμενική Σύνοδο (325). Ὁ Υἱός δέν ἔχει τίς ἴδιες ἐνέργειες, οὔτε τίς ἴδιες ἰδιότητες μέ τόν Θεό. Δέν ἔχει φυσική ἀθανασία, ἀλλά ἀθανασία, τήν ὁποία κατέκτησε καί ἔλαβε ἀργότερα «κατά χάριν». Οὔτε παντογνώστης εἶναι ἀπό τή φύση Του. Ὁ Ἰησοῦς ἀγνοοῦσε ὅτι ἐπρόκειτο νά πεθάνει, ἐνῶ στό Βάπτισμα φωτίστηκε καί θυμήθηκε γεγονότα, πού εἶχε ξεχάσει! Τότε, ὅμως, τί ἀκριβῶς εἶναι ὁ Υἱός τοῦ Θεοῦ; Ἴσως εἶναι ἕνας ἀπό τούς Ἀγγέλους. Ἔτσι, σέ πολλές περιπτώσεις τόν ταυτίζουν μέ τόν ἀρχάγγελο Μιχαήλ, ἀλλοῦ ὅμως, ταυτίζουν τόν Μιχαήλ μέ τόν Πάπα, τόν δέ Πάπα ταυτίζουν μέ τόν Ἀντίχριστο! Ἡ Ἐκκλησία πιστεύει ὅτι ὁ Υἱός τοῦ Θεοῦ ἔγινε ἄνθρωπος, χωρίς, ὅμως, νά πάψει νά εἶναι καί Θεός, γι’ αὐτό ὁ Χριστός ἀποκαλεῖται «υἱός Θεοῦ», «Θεός», «μεγάλος Θεός», «ὁ ἐπί πάντων Θεός» κ.ἄ. Κατά τούς Μάρτυρες τοῦ Ἰεχωβᾶ, ὁ Υἱός ἔγινε ἄνθρωπος, ἀλλά δέν συνέχισε νά εἶναι ὅ,τι ἦταν καί πρίν τήν ἐνανθρώπησή Του. Ὁ Ἰησοῦς δέν ἦταν κάτι παραπάνω ἀπό τέλειος ἄνθρωπος. Ἦταν «τό ἀκριβές παράλληλο τοῦ ἄλλοτε τέλειου Ἀδάμ ... ἕνας τέλειος ἄνθρωπος, τίποτε περισσότερο καί τίποτε λιγώτερο» (Ἀγαθά νέα, 1976-1978, σ. 118). Δέν ἦταν, βέβαια, ἁμαρτωλός, ἀλλά ἡ ἀναμαρτησία Του δέν ἦταν φυσική κατάσταση, ἀλλά κάτι πού κατακτήθηκε μέ προσπάθεια. Γιά τήν ἀκρίβεια, δέν ἦταν, ἀλλά ἔγινε ἀναμάρτητος, ἐνῶ εἶχε τή δυνατότητα νά ἁμαρτήσει. Τό ὅτι τοῦ ἀποδίδεται προσκύνηση καί λατρεία στήν Ἁγ. Γραφή (Ματθ. 2,11, Ἰω. 9,38, κ.ἄ. ), ὅταν μάλιστα ὁ ἴδιος ὁ Θεός τονίζει, «Κύριον τόν Θεόν σου προσκυνήσεις καί αὐτῷ μόνῳ λατρεύσεις» (Ματθ. 4,10) προκαλεῖ νέα σύγχυση στούς ὁπαδούς τῆς αἵρεσης: Ἄλλοτε ἰσχυρίζονται ὅτι ὁ Χριστός λατρεύεται καί ἄλλοτε ὅτι δέν λατρεύεται. Τά μεγάλα γεγονότα τοῦ Πάθους καί τῆς Ἀναστάσεως δέν ἀπέφυγαν τή διαστροφή τους ἀπό τούς Μάρτυρες τοῦ Ἰεχωβᾶ. Εἶναι γνωστή ἡ διδασκαλία τῆς αἵρεσης ἀπό τό 1936 καί ἔπειτα, ὅτι ὁ Χριστός δέν σταυρώθηκε πάνω σέ Σταυρό, ἀλλά σέ ὄρθιο πάσαλλο! Ἀλλά, οὔτε καί ἡ Ἀνάσταση θεωρεῖται πραγματικό γεγονός! Ὅ,τι στήν Καινή Διαθήκη περιγράφεται ὡς «ἀνάστασις» τοῦ Χριστοῦ, εἶναι ἡ μεταβολή Του σέ «πνευματική ὑπόσταση», ἡ μετατροπή Του σέ «πνευματικό ὄν». Ὁ Ἰησοῦς, ὡς ἄνθρωπος, ἀπέθανε διά παντός καί ἀνάσταση τοῦ σώματός Του δέν συνέβη ποτέ. Τότε, ὅμως, πῶς ἐμφανίστηκε στούς Ἀποστόλους μέ σῶμα; Ἐδῶ ἡ φαντασία τῶν «θεολόγων» τῆς αἵρεσης ὀργιάζει: Ὁ Ἰησοῦς δημιούργησε ἐκείνη τή στιγμή ἕνα ἄλλο σῶμα, ὅμοιο μέ ἐκεῖνο πού εἶχε πρίν τήν Ἀνάσταση, γιά νά πείσει τούς Μαθητές Του ὅτι «ἀναστήθηκε». Στή συνέχεια τό σῶμα αὐτό εἴτε διαλύθηκε, εἴτε διατηρεῖται κάπου γιά νά τό χρησιμοποιήσει πάλι ὁ Ἰησοῦς στή χιλιετῆ βασιλεία Του! Τά παραπάνω εἶναι ἀναγκαῖα γιά νά κατανοηθεῖ ποιός ἀκριβῶς εἶναι ὁ πρωταγωνιστής τῶν ἔσχατων γεγονότων. Ὅπως ἤδη ἀναφέραμε, οἱ ὁπαδοί τῆς αἵρεσης πιστεύουν ὅτι ὁ Χριστός, πρίν ἀπό τήν τελική Κρίση τοῦ κόσμου, θά βασιλεύσει στή γῆ γιά χίλια ἔτη. Ἡ βασιλεία Του θά εἶναι ἐγκόσμια, μέ πραγματική κυβέρνηση, στήν ὁποία θά μετέχουν ὁ Ἀβραάμ, ὁ Ἰσαάκ, ὁ Ἰακώβ καί ἄλλα Βιβλικά πρόσωπα, πού θά ἀναστηθοῦν. Πρίν τή χιλιετῆ βασιλεία, ὅμως, θά γίνει ἡ γενική σφαγή τοῦ ἁμαρτωλοῦ κόσμου στόν Ἀρμαγεδῶνα, τοπωνύμιο, πού ἀπαντᾶ μία φορά μόνο στήν Ἁγία Γραφή (Ἀποκ. 16,16). Τρομακτικές εἰκόνες γιά ἔσχατα γεγονότα: Ἄλογα καί ἱππεῖς πλέουν στό αἷμα τῶν ἐχθρῶν τοῦ Ἰεχωβᾶ. Ἡ αἵρεση πιστεύει ὅτι ἡ ἀνθρωπότητα διακρίνεται σέ δύο σαφῶς ἀντιτιθέμενους κόσμους: στόν κόσμο τοῦ Θεοῦ καί στόν κόσμο τοῦ διαβόλου. Οἱ κόσμοι αὐτοί ὁδηγοῦνται σέ μιά τελική σύγκρουση, σέ μιά ἔσχατη μάχη, πού θά ἔχει ὡς ἀποτέλεσμα τήν ὁλοκληρωτική καταστροφή τοῦ δαιμονικοῦ κόσμου καί τήν ἐπιβίωση μόνο τῶν ὁπαδῶν της. Τόπος αὐτῆς τῆς μάχης θά εἶναι ὁ Ἀρμαγεδῶνας. Ἡ μεγάλη μάχη θά γίνει, ὅταν ὁ Χριστός μέ τά ἀγγελικά στρατεύματα τεθεῖ ἐπικεφαλῆς τῆς ὀργάνωσης τοῦ Ἰεχωβᾶ καί ὅταν ὁ Σατανᾶς μέ τά δαινονικά στρατεύματα τεθεῖ ἐπικεφαλῆς τοῦ ὑπόλοιπου κόσμου. Στή συνάφεια αὐτή, ὁ Χριστός περιγράφεται ὡς ὁ «μέγας σφαγεύς», πού θά καταστρέψει τόν ἁμαρτωλό κόσμο: «Ὅταν τό ἔργο τῆς μαρτυρίας τελειώσει ὁ Χριστός θά προχωρήσῃ εἰς τήν ἀπερίγραπτον σφαγή ὅμοια τῆς ὁποίας δέν ἔχει γίνει. Τόσα πτώματα θά ὑπάρξουν ἀπό τό ἕν ἄκρον τῆς γῆς μέχρι τό ἄλλον, ὥστε οὐδείς θά θάπτει τούς νεκρούς» (Φῶς, τ. Α', 1930, σ. 371). Αὐτός εἶναι ὁ «ὄμορφος κόσμος», πού ὀνειρεύονται οἱ Μάρτυρες τοῦ Ἰεχωβᾶ μετά τόν Ἀρμαγεδῶνα! «Ὁ Ἰησοῦς Χριστός ὁ μέγας σφαγεύς καί τώρα περιζώνεται τήν μάχαιρά του καί ἐλαύνει νικηφόρος εἰς τόν πόλεμον» (Διεκδίκησις, τ. Α', 1932, σ. 279). «Ἀπό τή φρικτή σφαγή θά γλιτώσουν μόνον οἱ "μάρτυρες τοῦ Ἰεχωβᾶ" ὅσοι βρίσκονται μέσα στό καταφύγιον» (Σκοπιά, 1962, σ. 172). «Ὅλοι οἱ ἄλλοι ἔξω ἀπό τό καταφύγιο θά ὁλολύζουν καί θά κυλίωνται στό χῶμα ... θά θανατωθοῦν ἐξ αἰτίας τῆς γοερῆς ὀργῆς τοῦ Ἰεχωβᾶ» (Σκοπιά, 1/4/1978, σ. 16). Οἱ «ἐκλεκτοί» πού θά ἐπιζήσουν, «θά ἐξέλθουν καί θά ἰδοῦν τά πτώματα ἐκείνων τούς ὁποίους ἐθανάτωσε ὁ Ἰεχωβᾶ, ἄταφα, βορά τῶν σκωλήκων πού δέν θά πεθαίνουν οὔτε θά παύσουν νά συρρέουν ἐπάνω στά ἀπεχθῆ πτώματα ὥσπου νά καταφάγουν τά ὀστά των» (Νέοι Οὐρανοί καί Νέα Γῆ, 1953-1957, σ. 370-371). Ἀμέσως μετά τόν Ἀρμαγεδῶνα θά ἐγκαθιδρυθεῖ ἡ χιλιετής βασιλεία. Ἡ αἵρεση διαβεβαίωνε ὅτι ἡ ἔναρξή της θά γινόταν τό 1914, ὅμως, τό 1914 οὔτε ὁ Ἀρμαγεδῶνας ἔγινε, οὔτε ἡ ἐμφάνιση τοῦ Χριστοῦ, οὔτε ἡ ἔναρξη τῆς βασιλείας. Ἀντίθετα, ἀντί τῆς ἀναμενόμενης εἰρήνης, ἄρχισε ὁ Α' Παγκόσμιος Πόλεμος! Τότε ἡ ἔναρξη τῆς βασιλείας μετατέθηκε στό 1918, μέ τό ἴδιο ἀποτέλεσμα. Ἀργότερα μετατέθηκε μέ βεβαιότητα στό 1925, ἀγοράστηκε, μάλιστα, ἕνα οἴκημα στό Σάν Ντιέγκο τῆς Καλιφόρνιας, πού ὀνομάστηκε «Μπέθ Σαρίμ» (Οἶκος Ἀρχόντων), γιά νά κατοικήσει ὁ Ἀβραάμ! Μετά τή νέα διάψευση, ἡ ἡγεσία τῆς αἵρεσης ἰσχυριζόταν ὅτι ἡ γενιά τοῦ 1914 θά ζοῦσε ὅλα τά ἔσχατα γεγονότα. Τελευταία ἀπόπειρα προσδιορισμοῦ ὅριζε τό 1975 ὡς ἔτος ἔναρξης τῆς βασιλείας. Ὅταν καί τότε δέν συνέβη τίποτε, τήν αἵρεση συνετάραξε μεγάλη κρίση, ἀφοῦ χιλιάδες ὁπαδῶν της τήν ἐγκατέλειψαν. Σήμερα ἐπαναλαμβάνει ἁπλῶς ὅτι λίγος καιρός μένει μέχρι τόν Ἀρμαγεδῶνα, ἐνῶ κατά καιρούς ἰσχυρίζεται ὅτι ἡ βασιλεία εἶναι ἀόρατη καί πνευματική ἤ ὅτι ἄρχισε ἀοράτως στούς οὐρανούς. Ὡς πρός τά γεγονότα πού θά ἀκολουθήσουν, ἰσχυρίζεται ὅτι ἡ ἀνάσταση τῶν νεκρῶν θά γίνει σταδιακά καί ὄχι γιά ὅλους τούς νεκρούς. Ἡ τελική Κρίση θά γίνει εἴτε σταδιακά κατά τή διάρκεια τῆς χιλιετίας, εἴτε ἐφ’ ἅπαξ στό τέλος της. Στό τέλος τῆς χιλιετίας θά λυθεῖ γιά λίγο ὁ Σατανᾶς, γιά νά ριφθεῖ, τελικά, στήν καιόμενη λίμνη τοῦ πυρός. Τέλος, ἡ ἔσχατη Κρίση τοῦ κόσμου δέν θά γίνει ἀπό τόν Ἰησοῦ Χριστό, ἀλλά ἀπό τόν Ἰεχωβᾶ: «Στό τέλος τῆς Χιλιετίας, ὁ Ἰεχωβᾶ θά κρίνει καί ὄχι ὁ Ἰησοῦς Χριστός» (Σκοπιά, 15/5/1995, σ. 13 κ.ἄ.). Ἡ βασιλεία τοῦ Χριστοῦ ἄλλοτε χαρακτηρίζεται ἐπίγεια καί ὁρατή καί ἄλλοτε οὐράνια καί ἀόρατη, ἐντός τοῦ πλήρους ἀντιφάσεων, μεταβολῶν καί ἀσαφειῶν ἐσχατολογικοῦ συστήματος τῆς αἵρεσης. Ἡ βασιλεία αὐτή θεωρεῖται κατάσταση προσωρινή καί μέ ἡμερομηνία λήξεως. Ἡ ἐγκαθίδρυσή της ἀοράτως στούς οὐρανούς σημαίνει ὅτι ὁ Χριστός δέν ἦταν Βασιλεύς πρό τοῦ γεγονότος αὐτοῦ, ἐνῶ τό ὅτι ἡ τελική Κρίση δέν θά γίνει ἀπό τόν Χριστό σημαίνει ὅτι ἡ βασιλεία Του ἔχει τέλος. Κατά τούς Πατέρες τῆς Ἐκκλησίας, ἡ βασιλεία τοῦ Χριστοῦ, ταυτίζεται μέ τήν ἄκτιστη δόξα Του καί μέ αὐτή τήν ἔννοια δέν εἶναι «ἐκ τοῦ κόσμου τούτου» (Ἰω. 18,36) καί «οὐκ ἔρχεται μετά παρατηρήσεως» (Λουκ. 17,20). Ὁ Χριστός εἶναι Βασιλεύς αἰώνιος καί ἡ βασιλεία Του εἶναι «βασιλεία πάντων τῶν αἰώνων», ἡ ὁποία δέν ἔχει ἀρχή, οὔτε τέλος. Ἡ βασιλεία αὐτή εἶναι παροῦσα ὅπου εἶναι παρών ὁ Χριστός: «Ὅπου ὁ Βασιλεύς ἐκεῖ καί ἡ βασιλεία» (ἅγ. Χρυσόστομος). Ἄν ὁ Χριστός εἶναι καί παρών (ἐντός τῆς Ἐκκλησίας) καί ἀναμενόμενος, τότε καί ἡ βασιλεία Του εἶναι καί παροῦσα καί ἀναμενόμενη, γι’ αὐτό στήν Ἁγ. Γραφή ὑπάρχουν ἐκφράσεις ὅπως «ἡ βασιλεία τοῦ Θεοῦ ἐντός ὑμῶν ἐστίν» (Λουκ. 17,21) καί «ἐλθέτω ἡ βασιλεία σου» (Ματθ. 6,10). Τά χίλια ἔτη τῆς Ἀποκαλύψεως εἶναι συμβολική ἔκφραση γιά τό διάστημα ἀπό τήν Πρώτη μέχρι τή Δευτέρα Παρουσία τοῦ Χριστοῦ, κατά τούς Πατέρες τῆς Ἐκκλησίας. Ὄντως, στό διάστημα αὐτό κάποιοι μέτέχουν στή δόξα ἤ βασιλεία τοῦ Χριστοῦ καί συμβασιλεύουν ἐν Χριστῷ. Ἡ ἐσχατολογία τῆς αἵρεσης παραουσιάζει πολλά ἀκόμη κενά. Ἡ ἔναρξη τῆς Δευτέρας Παρουσίας τοῦ Χριστοῦ ἀοράτως στούς οὐρανούς σημαίνει ὅτι προηγουμένως ὁ Χριστός ἦταν ἀπών ἀπό τούς οὐρανούς, ὁπότε προκύπτει ἡ ἀπορία: ποῦ ἦταν ὁ Χριστός μέχρι τήν Δευτέρα Παρουσία Του, ἄν δέν ἦταν οὔτε στόν οὐρανό, οὔτε στή γῆ; Ἡ περιγραφή τῆς βασιλείας, ὅπως τουλάχιστον γίνεται στό περιοδικό «Ξύπνα» (22/9/1999, σ. 8-9), ὅπου ἀναφέρεται ὅτι αὐτή, «θά ἔχει ὡς διορισμένο ἀπό τό θεό ἡγέτη της τόν δοξασμένο Ἰησοῦ Χριστό τόν Ἄρχοντα Εἰρήνης, ... θά εἶναι πραγματικά μία παγκόσμια κυβέρνηση, ... θά ἐκπροσωπεῖ ὅλους τούς λαούς, ... θά βάλει τέλος σέ ὅλες τίς ἀνθρώπινες κυβερνήσεις, οἱ ὁποῖες ἀντιτίθενται στήν ἐξουσία της, ... οἱ λαοί τῆς γῆς θά κυβερνῶνται μέ βάση ἕνα διεθνές δίκαιο, ... τά ἄτομα πού ἀγαποῦν τή βία θά ἀφανισθοῦν», ὁμοιάζει περισσότερο μέ τή βασιλεία τοῦ Ἀντιχρίστου, παρά μέ τή βασιλεία τοῦ Χριστοῦ! Ἐκεῖνος θά ἐμφανισθεῖ πρίν τό τέλος τοῦ κόσμου ἀντί τοῦ Χριστοῦ, σέ ἐκεῖνον θά δοθεῖ «ἐξουσία ἐπί πᾶσαν φυλήν καί λαόν καί γλῶσσαν καί ἔθνος» (Ἀποκ. 13,7), καί ἐκεῖνος θά κυβερνήσει προσωρινά ἕναν ἑνοποιημένο κόσμο! Ἡ Ἐκκλησία γνωρίζει δύο μόνο Παρουσίες τοῦ Κυρίου, μία πραγματοποιημένη καί μία ἀναμενόμενη, τήν «ἐπιφάνεια τῆς Χάριτος» καί τήν «ἐπιφάνεια τῆς Δόξης». Στήν «ἐπιφάνεια τῆς Δόξης», δηλαδή στή Δευτέρα Παρουσία τοῦ Χριστοῦ, τά γεγονότα θά γίνουν ὅλα μαζί, ἐντός ὀλίγου χρονικοῦ διαστήματος: ἡ κατάργηση τοῦ ἔσχατου Ἀντιχρίστου, ἡ ἀνάσταση τῶν νεκρῶν, ἡ τελική Κρίση, ἡ ἀνακαίνιση τοῦ φυσικοῦ κόσμου, ἡ ἔναρξη τοῦ «μέλλοντος αἰῶνος». Οἱ Μάρτυρες τοῦ Ἰεχωβᾶ, ἀντίθετα, κάνουν λόγο γιά μιά μακρᾶς διαρκείας Δευτέρα Παρουσία, στήν ὁποία ἐντάσσονται γεγονότα ὅπως ὁ Ἀρμαγεδῶνας καί ἡ χιλιετής βασιλεία, ἤ, ἀκριβέστερα, κάνουν λόγο γιά πολλές «παρουσίες»: δεύτερη παρουσία τοῦ Χριστοῦ ἀοράτως στούς οὐρανούς, τρίτη παρουσία ὡς «σφαγέως» στόν Ἀρμαγεδῶνα καί τέταρτη ὡς βασιλέως στή χιλιετία. Τέλος, ὁ προσδιορισμός «καιρῶν καί χρόνων» γιά τά ἔσχατα γεγονότα ἀπό τήν ἡγεσία τῆς αἵρεσης καί ἡ κατ’ ἐπανάληψιν διάψευσή τους τήν ἀποδεικνύει ὡς τό χαρακτηριστικότερο, ἴσως, παράδειγμα ψευδοπροφήτου στήν ἱστορία τοῦ Χριστιανισμοῦ. The lake of fire.Озеро oгненное. Η ΚΙΒΩΤΟΣ ΤΟΥ ΝΩΕ. ΑΓΙΟΓΡΑΦΙΑ. ΒΙΒΛΙΑ ΤΟΥ ΙΕΡΕΩΣ ΙΩΑΝΝΟΥ ΒΕΡΝΕΖΟΥ. ΟΙ ΕΥΛΟΓΙΕΣ ΤΟΥ ΑΓΙΟΥ ΓΛΥΚΕΡΙΟΥ. Η ΔΕΥΤΕΡΑ ΠΑΡΟΥΣΙΑ ΑΓΙΟΓΡΑΦΙΑ. ΜΕΤΕΩΡΑ. ΑΓΙΟΣ ΠΟΡΦΥΡΙΟΣ ΓΙΑ ΤΑ ΛΑΧΕΙΑ ΚΑΙ ΑΛΛΑ ΘΕΜΑΤΑ. ΓΙΑ ΤΗΝ ΕΛΕΗΜΟΣΥΝΗ ΑΓΙΟΣ ΠΟΡΦΥΡΙΟΣ. ΘΑΥΜΑ ΣΤΗΝ ΙΕΡΑ ΜΟΝΗ ΟΣΤΡΟΓΚ ΣΤΗΝ ΣΕΡΒΙΑ.